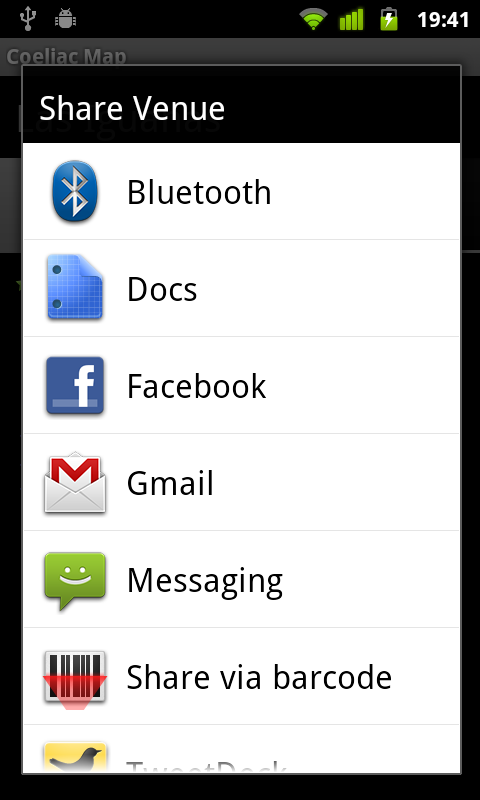 Available free on the Android Market. 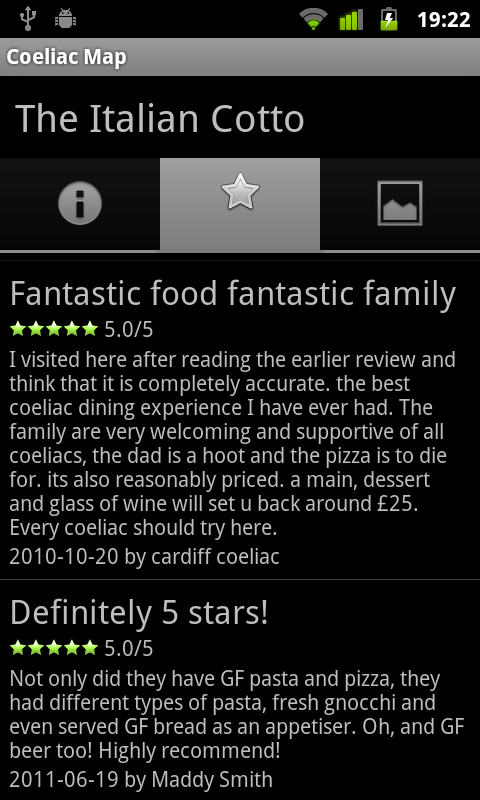 It is an application for Android phones which plots Coeliac and Gluten Free food reviews on a map of the local area. 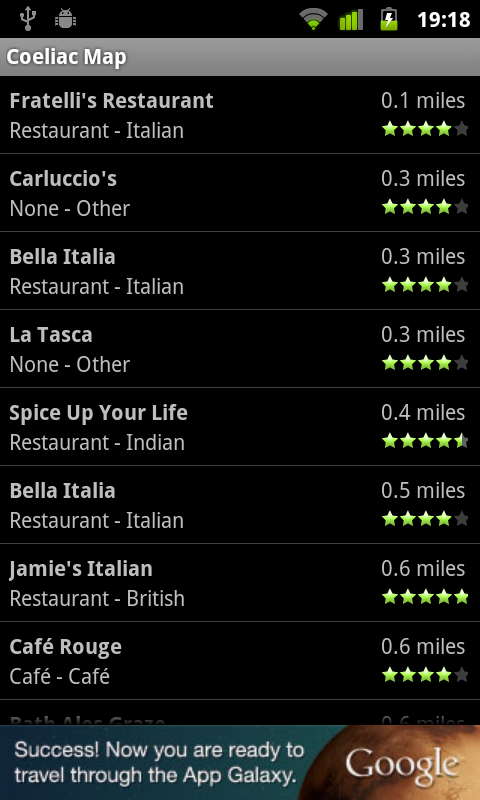 You can be shown a list of places to eat ("venues") near you that have been reviewed and rated by Coeliacs. 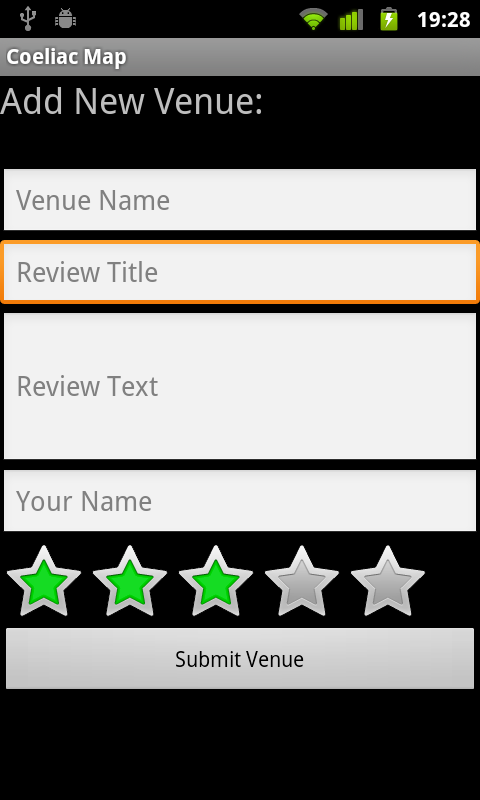 You can get details on the venue such as average rating, location, contact details and photos where available. Once you've found a great venue, you can easily share it by Facebook, Twitter, email and SMS. Coeliac Map relies on your submissions, so adding a new venue has been made simple.